HAVING FACED CUTS IN DEMAND AS FARMERS DELAYED BUYING FERTILIZER, THE WORLD’S POTASH PRODUCERS WERE HIT AGAIN LAST YEAR AS PRICES TUMBLED. E&MJ LOOKS AT THE INDUSTRY TODAY, AND WHAT THE FUTURE MAY HOLD. In a number of respects, potash is a strange commodity. With the bulk of its end use tied intimately to the fortunes of world agriculture, yet with production focused relatively tightly, producers often appear to have little room to maneuver. The impact of the global economic recession worked its way through to potash production once fertilizer application rates fell, leaving producers with high stock levels. As Figure 1 shows, during most of the 2000s, the long-term trend in prices had been upward, only to suffer a serious reversal in 2010 when prices halved from the peaks seen in 2008 and 2009. Although there was then a gradual improvement, Uralkali’s sudden withdrawal from its marketing agreement with its Belarusian counterpart in July last year dealt the industry another blow. Meanwhile, the rising prices of the mid-2000s had already provided producers and new entrants alike with the incentive to invest in higher capacity, with billion-dollar price tags attached. In today’s market scenario, some of these projects are looking less sustainable, not only in terms of the capex involved, but also in relation to projected demand trends over the next five-to-10 years. To put it bluntly, if all of the capacity currently under development or at the planning stage comes on stream, significant overcapacity will be inevitable, with the obvious effect on prices. Yet, conversely, the fundamentals of the potash market in the long term could not be stronger. In simple terms, the world’s population is growing, and as time goes by, more people will need feeding. Agriculture will need to produce more, so the market for fertilizer will inevitably grow in step. Take a long view, and potash producers will be in clover. They just have to negotiate the short and medium terms to get there. Figure 1—Potash price trends, 2003-2013 ($/mt spot). According to data from the USGS, shown in Figure 2, world potash production grew from around 25.3 million metric tons (mt) in 2000 to a peak of 36,400 million mt in 2011 before slipping back somewhat in 2012 and 2013. However, as the graph shows, the increase was by no means consistent, with periodic spurts and slips as producers reacted to the wider economic situation in general, and to agricultural demand in particular. Agricultural demand is, of course, governed by a number of factors, including local and export markets for individual crops, the availability of financing for farmers to buy fertilizer, the weather, and the state of confidence within agriculture as a whole. When times are tough, farmers cut back on fertilizer application even though this may affect their yields, and only restore fertilizer tonnages once they can afford to do so. In the meantime, producers either have to build their own stocks or cut output, which is what has been happening recently in the wake of falling prices. And, then, lower output can mean fewer jobs, which has also been a feature of the past few months. In terms of markets, the big grain producers are obviously important, while China, India, and Brazil all import potash products from the likes of Canada, Russia and Belarus. Contract negotiations between export organizations such as Canpotex and their importing equivalents have often been protracted, sometimes even acrimonious, and have regularly gone down to the wire as both sides endeavor to get the best deal. The export potential has been further clouded both by increasing domestic production in China and by political decisions in India. According to the USGS, Chinese production has been rising steadily, from less than 500,000 mt in 2002 to 3.2 million mt in 2010 and 4.3 million mt last year. This clearly has had an impact on demand from other suppliers, albeit within the scenario of a general increase in fertilizer application within Chinese agriculture. 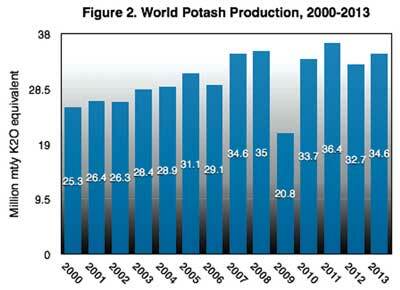 Figure 2—World potash production, 2000-2013. Whichever metaphor someone wishes to use, like throwing a spanner in the works, or pitching a curve ball, Uralkali did the potash market few favors at the end of July last year. In summary, prices fell sharply, with uncertainty creeping in for both producers and consumers as to how the situation would pan out. “The board has decided to stop Uralkali’s export sales through Belarusian Potash Company (BPC) and direct all export volumes through Uralkali Trading,” the company announced. Its CEO at the time, Vladislav Baumgertner, said, “our cooperation with our Belarusian partners within the BPC framework has become deadlocked. It has always been Uralkali’s position that export activities of both producers should go through the unified sales network. Since December 2012, Belaruskali has made a number of deliveries outside BPC. “We have repeatedly informed our Belarusian partners that such actions were unacceptable and they have ultimately destroyed the fundamentals of our prolonged fruitful cooperation. In this situation we have to re-direct our export deliveries through our own trader,” he said. Other producers reacted with caution. Speaking at the presentation of PotashCorp’s third-quarter results, CEO Bill Doyle said, “The most recent quarter can best be characterized as a predictable response to an unpredicted event. As we have seen in the past, fertilizer customers faced with uncertainty act with extreme caution. This was the case during the third quarter, particularly in offshore potash markets, where significant purchases were delayed as Russian producer pronouncements left buyers waiting in anticipation of weaker prices. “While this volatility does not change the long-term underlying fundamentals of fertilizer demand, it did significantly slow market activity,” he added. In real terms, the company reported it received an average price of $307/mt for sales during the quarter, compared with $429/mt in the same period in 2012. On the ground, meanwhile, the situation deteriorated to something that could have resembled a Marx Brothers’ farce, had it not been so serious. Uralkali’s CEO traveled to Belarus for talks, and was then arrested and effectively held hostage. His subsequent extradition to Russia, in November, was not the end of the matter either, since Baumgartner is reported still to be in custody, under investigation for corporate wrong-doing. His replacement came a month later, shortly after Uralkali gained new majority owners in the form of Russian oligarchs Mikhail Prokhorov and Dmitry Mazepin. In physical terms, Uralkali produced 10 million mt of potash (as KCl) during 2013, up from 9.1 million mt the year before, with a 12.5-million-mt target for this year. In January, the company confirmed details of its supply contract to one of China’s buying consortia, with a total of 700,000 mt to be delivered in the first half of the year at a price of $305/mt on a CFR basis, which includes the cost of transport. The report pointed out that Uralkali’s volume-driven growth strategy means that the company will be increasing its utilization rates to near full capacity, with the additional tonnage representing a highly significant 8% addition to total global potash sales in 2013. This can only have a dampening effect on pricing, with Canpotex—Canada’s potash export organization—having followed Uralkali’s lead in agreeing similar prices and tonnages for its first-half 2014 deliveries to China. However, the high prices of a few years ago drove several companies to develop both new projects and capacity expansions, such that between 2013 and 2017, 11 million mt/y of capacity will be added on brownfield sites alone, the report said. This in turn will have a depressing effect on the supply-demand balance, even before any greenfield capacity comes on stream. “Looking ahead to the next two years, the potash industry’s capacity utilization rate should decline due to the new capacity,” the report stated. “The lower potash prices seen in the second half of 2013 will likely cause many companies to adjust their projects and schedules, either delaying them or canceling them altogether. While continuing to invest in new capacity, two of North America’s leading potash producers have cut staffing levels in response to recent weak markets. In December, PotashCorp announced around 1,000 layoffs, of which 570 were in its potash business, with Mosaic following this in March with 51 job losses in its Canadian potash operations. Mosiac is investing some $5 billion in expanding output, with the K2 underground and mill expansions at Esterhazy now reportedly complete. 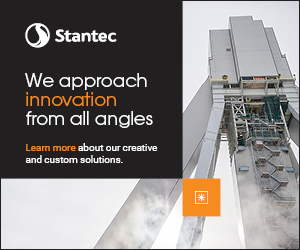 The company also reported that its K3 shaft is progressing well, claiming that its headframe is now the tallest structure in Saskatchewan. Mosaic achieved production of 7.8 million mt in 2013, up from 7.4 million mt the year before. However, it trimmed production toward the end of the year, mainly from Colonsay, and warned it may also cut output at its other mines if market conditions require this. In its most recent annual report, PotashCorp noted that with its two remaining expansion projects at Rocanville and New Brunswick nearly complete, it expects to have more than 18 million mt of nameplate capacity available by the end of 2015. However, its recent job cuts have led the company to revise its actual operational capability downward to around 13 million mt/y in 2016, with the potential to increase this to 16.6 million mt/y by restaffing and restarting idled operations. The company reported the production of 7.8 million mt in 2013, up marginally from 2012 but still lower than the 9.3 million mt achieved in 2011. It also noted that the investment involved in expanding capacity at all of its mines, including the development of the new Picadilly operation in New Brunswick, has reached $8.3 billion, some 20% more than originally estimated. 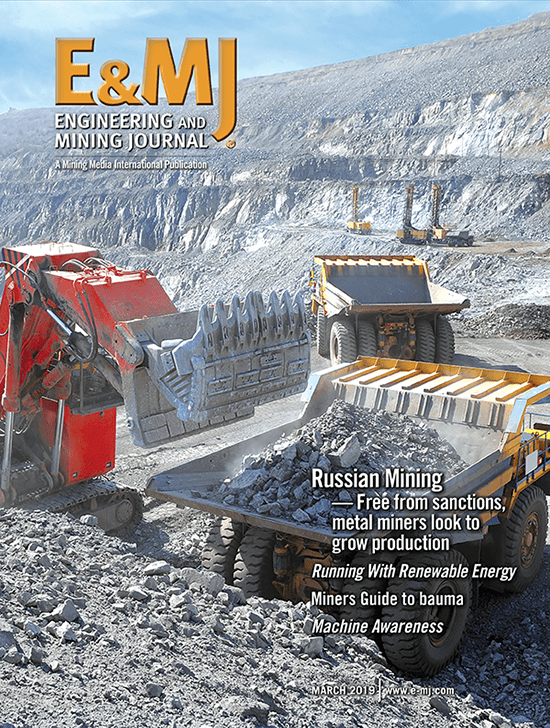 Looking at the impact of its strategy of optimizing production at its lowest-cost mines (Rocanville and Allan), cutting capacity in the short term at Cory and Lanigan, closing Penobsquis in New Brunswick and replacing it with Picadilly, PotashCorp expects to cut its production costs by $15–20/mt this year and by $20–30/mt by 2016, compared to 2013. Agrium is getting closer to completing the expansion of its Vanscoy potash operation by 1 million mt/y, although in its annual report, the company acknowledged that capex has been 25% higher than predicted. Agrium expects to have the mine out of action for 14 weeks later this year as the expansion tie-in takes place, with the loss of some 500,000 mt of potash production. Longer term, it is aiming for a 15%, $20/mt cut in its operating costs once the mine is running at its new 3-million-mt/y capacity. Production last year was 1.7 million mt. Turning to greenfield projects, BHP Billiton has slowed development at Jansen, where shaft-sinking is currently under way. Last August, the company announced a $2.6 billion investment to complete the excavation and lining of the service and production shafts, bringing its total capex commitment at Jansen to $3.8 billion. With work having stopped temporarily for several weeks at the start of the year, shaft completion is now expected during 2016, the company said, with potash production beginning in 2018 at the earliest. K+S is making progress with its Legacy solution-mining project, where it achieved a breakthough to create the first of the 36 production caverns that will be ready when the operation comes on stream in 2016. “This is a very significant milestone for our Legacy project,” said Dr. Ulrich Lamp, president and CEO of K+S Potash Canada, announcing the achievement in February. “We are on schedule and on budget.” Operating at a depth of 1,500 m, Legacy will be the first greenfield operation in Saskatchewan for some 40 years. While the bulk of today’s potash production and exports is in the hands of a select few, there always seems to be a crop of prospective projects just awaiting the opportunity—and the financing—to spring into life as regional suppliers. Take, for instance, the Udon and Bamnet Narong projects in Thailand; the concept has been on the cards for decades, the resource is defined, markets are available, local production would reduce the country’s dependence on imports, yet progress has been minimal. Republic of Congo is another case in point. 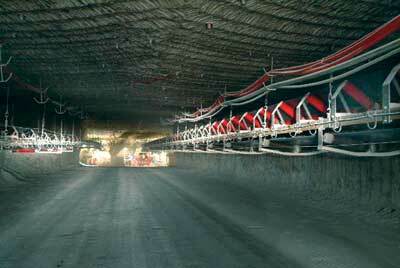 A few years ago, several projects were being touted, not least of which was the reopening of the old Holle mine. None has yet materialized, although in December, MagIndustries reported that it is on track to open its 1.2-million-mt/y Mengo solution mine in 2016. Capex of $1.27 billion has been estimated. Meanwhile, there has been strong interest in Laotian potash resources, with much of the recent activity having been undertaken by Chinese and Vietnamese companies. Again, the incentive is the ability to supply into regional markets, albeit at small volumes in comparison with the major players. One of the comforting things about potash is that world resources are already well-defined; most of the resource basins are known in fair detail, and there are rarely any surprises when it comes to exploration. In-situ qualities are, of course, another matter, while the depth of some of the resources is challenging. Nonetheless, opportunities exist, with the junior sector still willing to pick up the baton. In the U.S., for example, projects are under way in New Mexico, Michigan, Arizona and Utah, all focusing on deposits that are known but currently unworked. In March, IC Potash Corp. filed a feasibility study for its Ochoa sulphate of potash (SOP) project in New Mexico. Designed as an underground mining operation, Ochoa would have a nameplate capacity of 3.4-million mt/y run-of-mine, and an output of some 700,000 mt/y of SOP, which is a higher-value product than the commonly available muriate of potash (MOP). In Michigan, Great Lakes Potash is evaluating resources in the central part of the Michigan Basin, where Mosaic operates a solution mine. Australian-listed Potash Minerals Ltd. is a majority shareholder in the K2O Utah joint venture at Hatch Point in the Paradox Basin in the southeast of the state. Solution mining would be the route here, based on a 900-million-mt JORC-compliant partial resource. Also in Utah, Potash Ridge Corp. recently completed a prefeasibility study on its Brawn Mountain prospect, where it is looking at a 590,000-mt/y operation based on mining alunite ore. In Arizona, Canada’s Passport Potash has exploration acreage in the Holbrook Basin, in an area that was drilled in the 1960s and 1970s, and also has a joint venture with the Hopi Tribe over potash development. And in Russia, Uralkali has extended the reserve base for its 70-year-old Solikamsk-1 mine, with the aim of keeping it in production to 2030, and is developing Solikamsk-3 nearby. 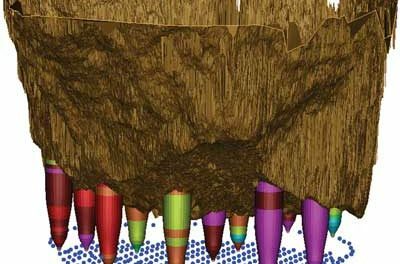 EuroChem is developing its Verkhnekamskoe (3.7 million mt/y) and Gremyachinskoe (4.6 million mt/y) projects, with shaft-sinking under way at both locations using freeze-wall technology designed by the German specialist, Thyssen Schachtbau. What is certain is this: as the world’s population increases, and as the rate of urbanization rises, more food will be needed. Agriculture will come under greater strain both to produce more overall, and to achieve higher yields from its existing resources. With fertilizer the key to both—and in some cases to maintaining yields, let alone increase them—the long-term prognosis is that potash production must rise in step with demand. It is not easy, however, to predict how this will materialize, at least over the next few years, with the new projects already under development likely only to add to the surplus production capacity that already exists. Some, such as Vale’s Rio Colorado project in Argentina, have already succumbed to corporate cuts in the face of escalating capex and weak prices. In Canada, BHP Billiton has made no secret of its wish to find a minority partner to help fund Jansen’s development. Yet even Rio Tinto, which very publicly hived-off Rio Colorado and its Saskatchewan exploration portfolio to Vale in 2009 for $850 million, quietly re-entered the potash exploration game two years later by forming a joint venture with North Atlantic Potash—a subsidiary of Russian fertilizer producer JSC Acron. This suddenly came to media attention in March when North Atlantic went public about the KP405 project, which, it said, holds the potential for a 3-million-mt/y solution-mining operation. The news also set off speculation that Rio Tinto might consider bidding for the junior, Western Potash, whose Milestone prospect is contiguous with KP405. Meanwhile, questions remain whether Uralkali can make a go of its new marketing strategy, or whether the temptation to resume its marketing partnership with Belaruskali will prove too strong in a period of low potash prices. 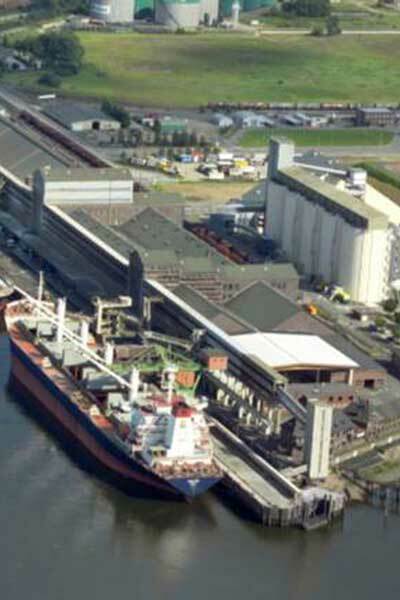 Conversely, Canada’s producers see Canpotex as a major asset, with the organization planning a new export terminal that would increase its capacity to around 25 million mt/y. According to the TD Bank report, published in March, “Uncertainty clouds the near-term outlook for potash prices. That said, underlying fundamentals should be supportive. 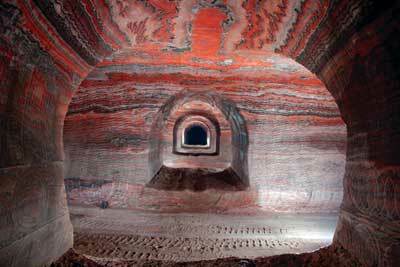 Potash demand from developing economies is poised to grow roughly in line with historical trends. 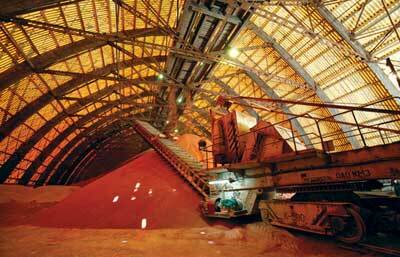 “Potash supply over the near-term is more of a wild card,” the report stated. “Many projects over the next few years are expected to pop up. The additional supply could limit the upside for potash prices. However, project timelines can be adjusted to partially mitigate the downward influence.